Looking for anchor jobs for trade and business events, live shows, TV shows, concerts and more. Apply here now! Description: We are looking for female faces aged 23-28 for apparel photo shoot for famous apparel brand. 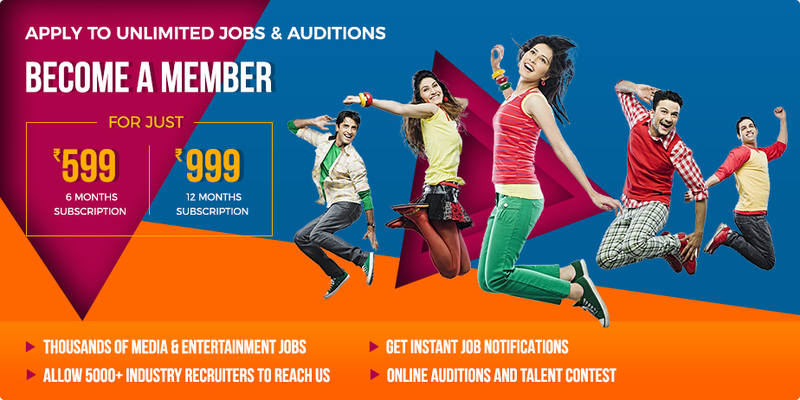 Description: Fresher/ Experienced Artists required for News Budget- Based on the profile. Description: Height- 5'1" to 5'8". Kindly make sure that your talentrack profile is complete before applying for the job.